The adage of ‘Once a Red Devil, Always a Red Devil’ certainly rings true for numerous Manchester United players. Despite having plied their trade for numerous illustrious clubs over the years, quite a few players who had donned the red jersey return to the Theatre of Dreams, touting the Mancunian outfit to have been their finest home and the club they cheer for well into their retirements. The allure of Old Trafford and the sheer passion with which the fans cherish their Old Boys certainly is a part of such a bond. When Manchester United defeated West Ham United 2-1 on Saturday, another Red Devil felt the love. 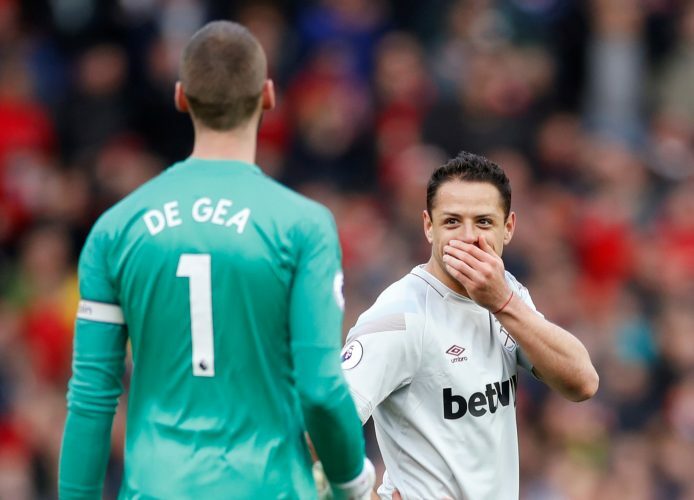 Javier Hernandez spent five years with the Premier League giants, and the outing on Saturday was one for him to cherish. When the Mexican was replaced in the 73rd minute, the entire stadium erupted in applause for the player who had gifted them with many a spectacular goal in the past. The gesture affected Chicharito deeply, and he later took to Instagram to express his delight, stating: “It’s difficult to find the words to describe the feeling getting off the pitch today. “@manchesterunited will be always a very special club for me and my family. Coming back to Old Trafford and to having a standing ovation is not easy to digest… thank you to all the Manchester United fans today for doing that. Classy gesture from Hernandez, and one that supporters of the Red Devils will certainly remember. Two Paul Pogba goals from penalties sealed United’s fate on the night, despite the Hammers being the better team for the majority of the game.